Interesting, especially that Bel Canto is still using the old TI/Burr Brown PCM1792 DAC, vs. the latest and greatest from ESS. Sounds like John Stronczer realized the ethernet streaming design of the old Squeezebox (vs USB) is the way to go. I guess the proof is in the listening! Thanks for reminding me to upgrade my DAC 3.5 mkII. I might even get the new linear battery supply! Squeezebox Touch/Bel Canto DAC 3.5VB + Oppo BDP-95 > Conrad Johnson CT5 preamp and Premier 350 amp > Martin Logan Expression 13A's. Audience Au24e I/C's, speaker cable. 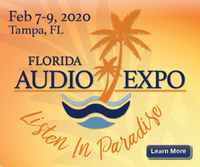 Member of the Suncoast Audiophile Society. Every time I hear a DAC with the ESS DAC chips I prefer the sound qualities of the Burr Brown's! More natural, organic without sacrificing the details. Nice review....the 3.7 is really a fantastic dac! Unfortunately, looks like Bel Canto stopped production of the DAC 1.7 and 3.7, as well as the VBS and LNS outboard power supplies. I was actually planning on upgrading my DAC 3.5 to the 3.7. I wonder if they stopped production because the power supplies were failing? My VBS is about 6 years old. Guess I'll keep my fingers crossed! ah i did not know that . well hopefully the electronics engineer has now sorted the vbs1 . i quite enjoyed watching him problem solve it . i would not worry if it breaks down as realtively easy for an engineer to fix.